Maybe you need a team with the same initials when you’re looking for a BMW repair location in Berkeley. 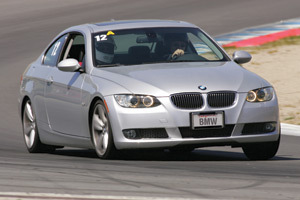 That company would be Berkeley Motor Works and this team is the leader in the area for any BMW service or repair. Specializing in European auto repair, Berkeley Motor Works is located in Albany, CA, making it a convenient and short drive for you from your home near Berkeley. This team of experts has the experience and expertise you need when you’re looking for the right name to handle the maintenance or repair for you. If you drive a BMW you need to have a team you can trust provide you with the service you need for your vehicle. Berkeley Motor Works has been fixing, servicing and maintaining BMW models in the Albany, CA area since 1990 and can offer their expertise to you. As a team that specializes in European auto repair, Berkeley Motor Works will take care of your vehicle like no one else can. You need a team that’s been trained and certified to handle European models before you trust them for the BMW repair you need in Berkeley and this team is the right one for you. Not every automotive service center has the ability to handle European auto repair the right way but Berkeley Motor Works in Albany, CA has been certified to handle any BMW repair needed in the Berkeley area. Whether it was a happy accident or intentional, Berkeley Motor Works carries the same initials as BMW to provide you with the service to these vehicles that you need. Bring your BWM to Berkeley Motor Works and let them take care of your car or SUV and keep you on the road driving happy.